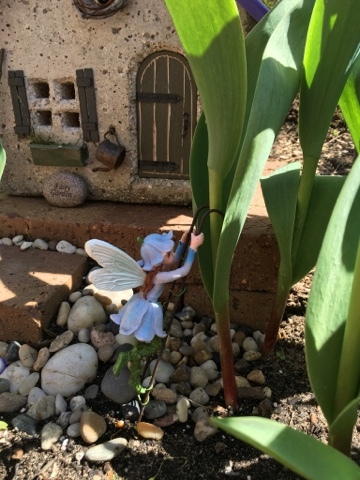 I love your fairy garden and the tulips are lovely! Happy gardening! 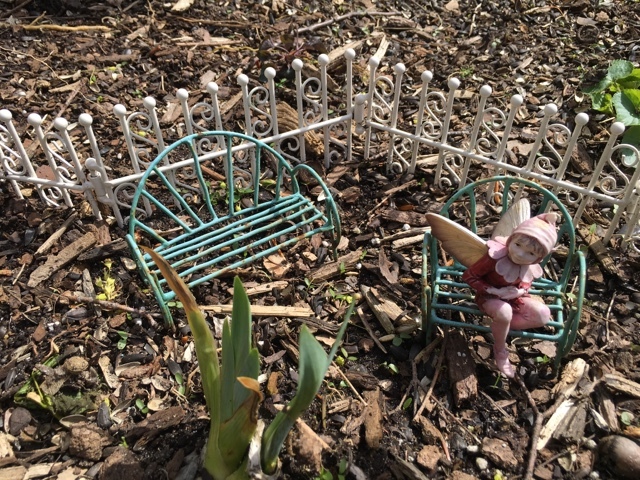 How precious all the fairies are looking. You have a special green thumb! 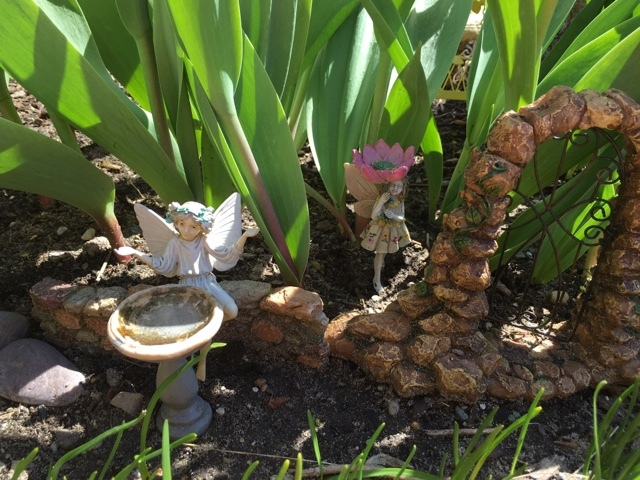 Darling fairy garden. 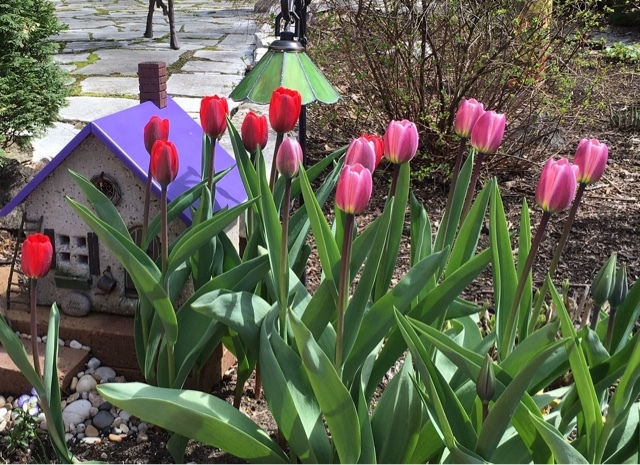 Your tulips are pretty even if you didn't get all you hoped to. I didn't even try to plant any. 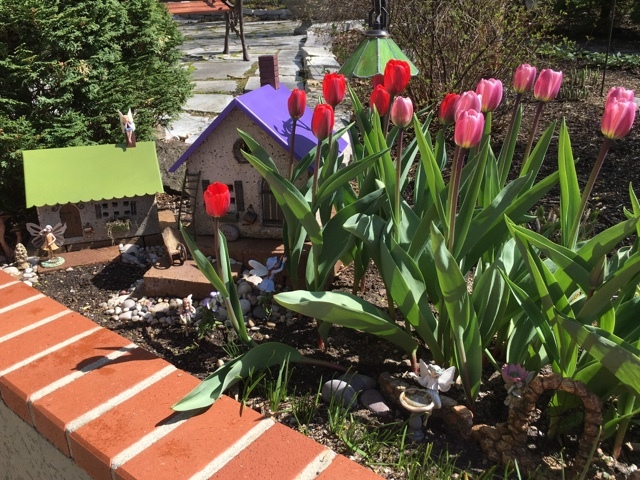 We have so many squirrels running around, I thought they would dig the bulbs. I am so thankful for Spring and watching the new growth. 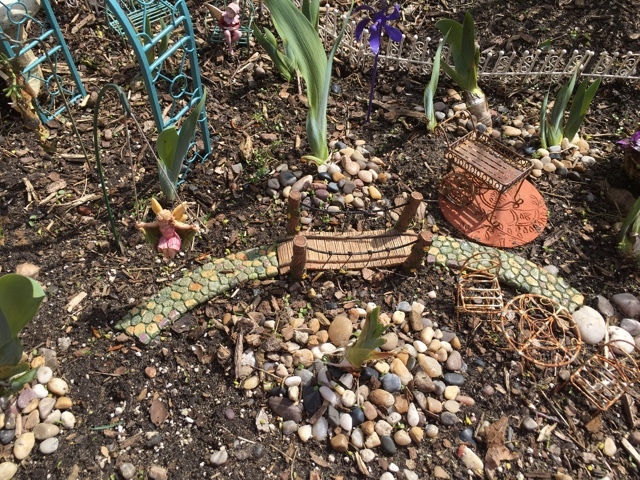 What a fun thing to do in the garden, Liz! 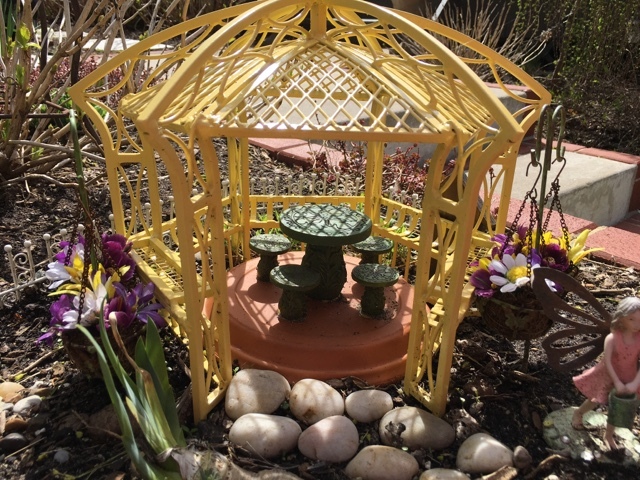 It's sort of like tablescaping, only in the garden. Love all the color you've added. 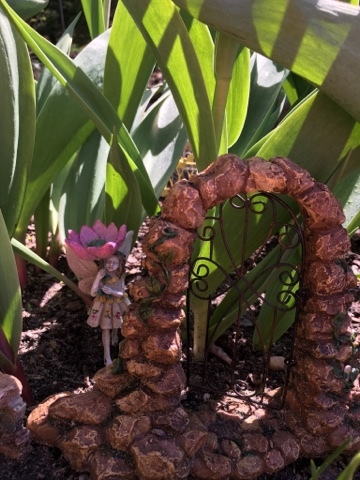 What a charming fairy garden!! 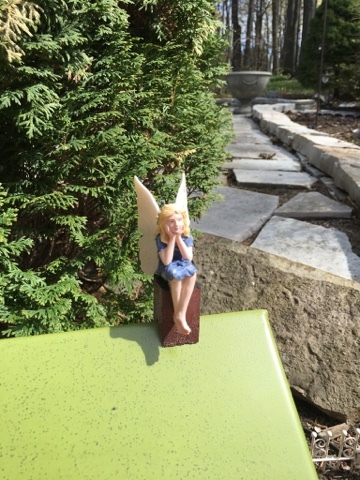 I will be waiting a bit before I set up my Fairy Garden containers because our weather for the next 2 weeks will look more like the end of Winter than Spring because of lows predicted in the 30's with a chance of frost! !